Continuing on with the Jewel Shine Collection- fragrance here, gloss here; are two more shiny new products. 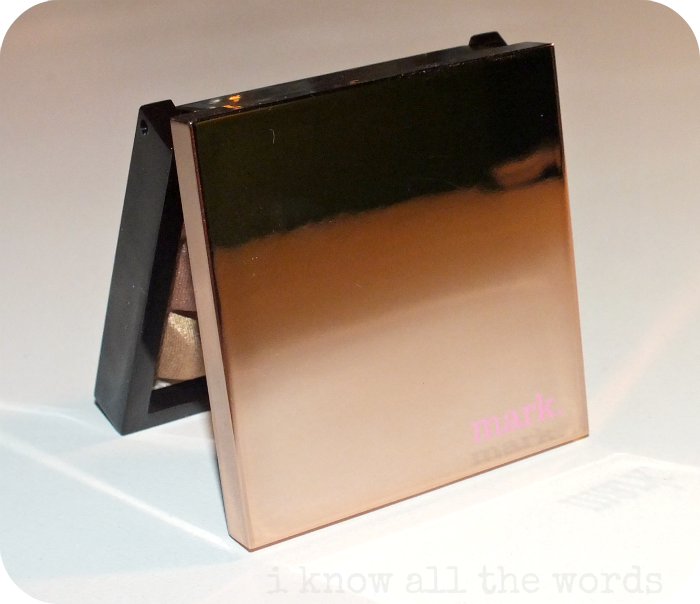 Shiny, a little bit blingy, and of course more rose gold. I'm beginning to think you can never have too much rose gold. Like, ever! 'Transform your makeup routine each morning (or evening!) 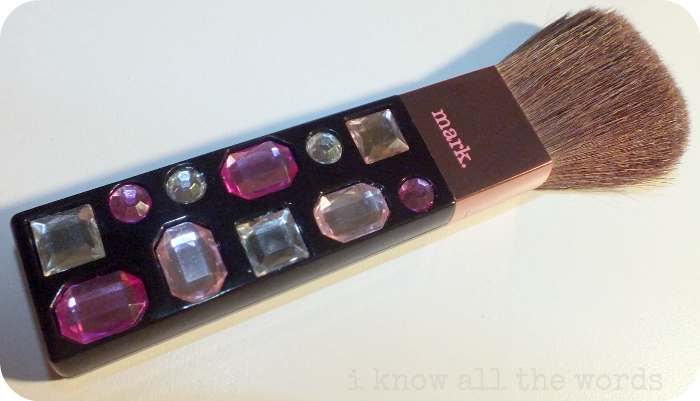 with this brush adorned with brilliant faux jewels. This broad brush with dense super soft bristles, is ideal for applying Touch & Glow Warm Glow on the face to create a beautiful, luminescent effect.' - mark. Usually, I feature brushes second in posts like these, but when it's a brush so fabulous as to be gem encrusted, you change things up. This brush is quite a sight to be seen; From it's unique flat shape, rose gold ferrule and gems, it's definitely something. The flat shape is something I've never seen in a brush before, but it works here. The flat design allows for the gems to be encased in the handle, as opposed to just being on the handle make me very happy, because as much as I love a little bedazzlement from time to time, I always worry about losing one. Not going to happen here, ladies! As for the actual brush, it is indeed super soft and is great for everything from powder to blush to mark. 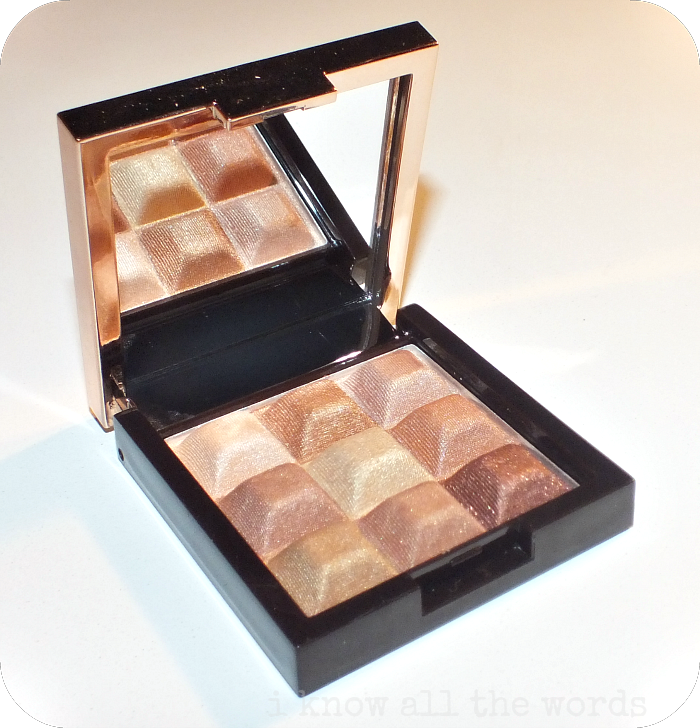 Touch & Glow Shimmer Cream Cubes. 'Our best selling palette shines with nine hot new shades- ranging from gold, rose gold and copper bronze. Apply to entire face by combining all shades or apply individual shades to eyes with your fingertip.' - mark. See what I did there, perfect segue! Mark. 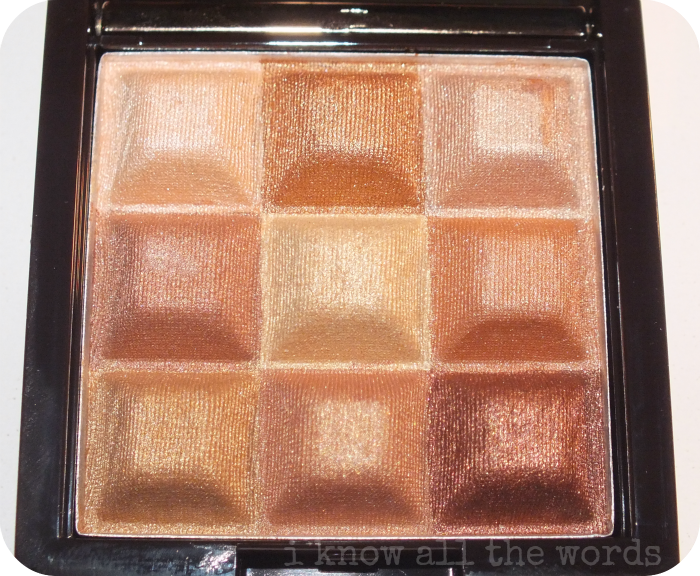 introduces a second, or maybe third, I'm not quite sure... shade to it's Shimmer Cream Cube family with Warm Glow. These little cubes are housed in a black and rose gold (yes, more rose gold!) compact. When you pop the top you're greeted to nine warm shades that kind of look like chocolate, or a waffle! Can you tell I haven't eaten yet? 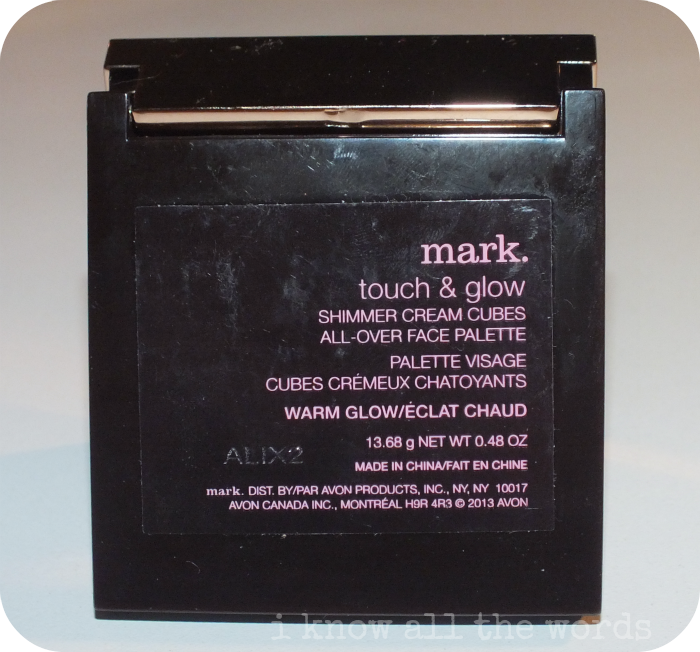 This product is so unlike anything I've ever used: it's a powder, but at the same time, it's not. These are creamy little cubes of shimmer! The formula is super smooth, soft, and, well... creamy. The product picks up easily with a brush if you want to swirl the shades together for an overall bronzed look, or individual shades can be applied to eyes with either a brush or finger, but I find my finger works best. 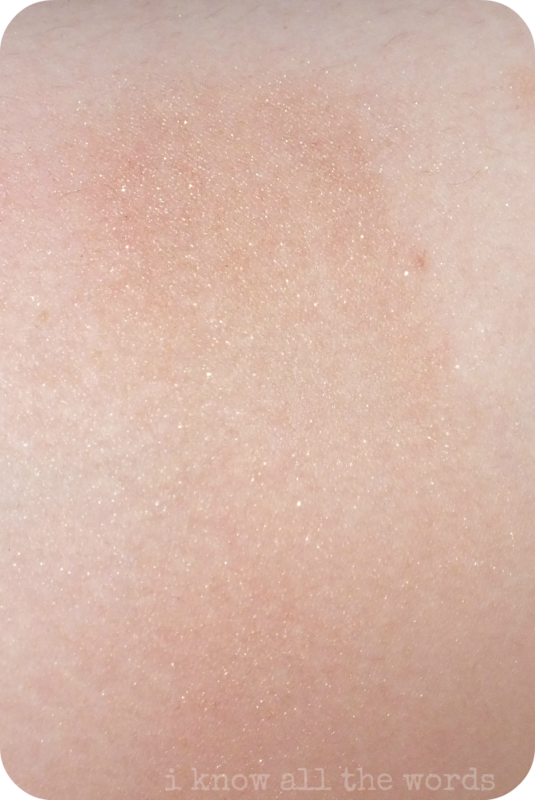 As you can see above, the individual shades all glow with a healthy dose of shimmer, but not glitter. I am pleased to report that there are no chunks or pieces of anything hiding out in these little cubes. No, sir. Just refined shimmer and warmth. When you swirl all the shades together, you get a light bronze shade that can be used as a highlighter or blush for a warm glow. It is sheer, but can easily be built up. In the photo I've made two or three passes so you can see the shade a bit better. 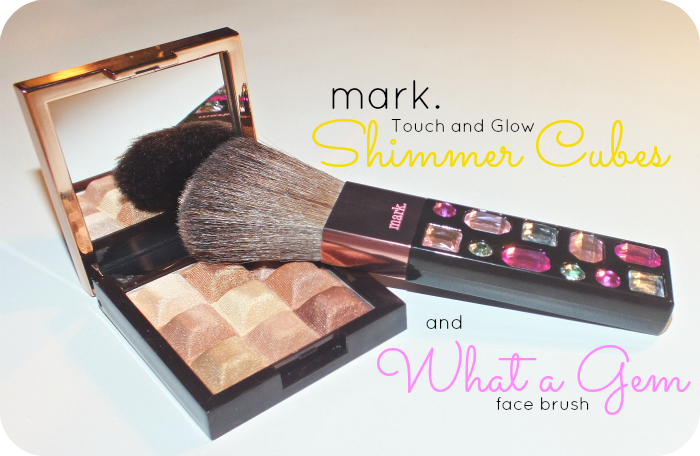 Overall, both the What a Gem Brush and Shimmer Cream Cubes are keepers in my book. If you're looking to add a bit of glam to your routine, these are definitely great additions!